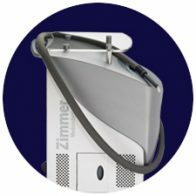 With the CryoMini, Zimmer offers a compact and flexible cold air system for short and less painful treatments. The newest generation of Cryo Therapy systems. 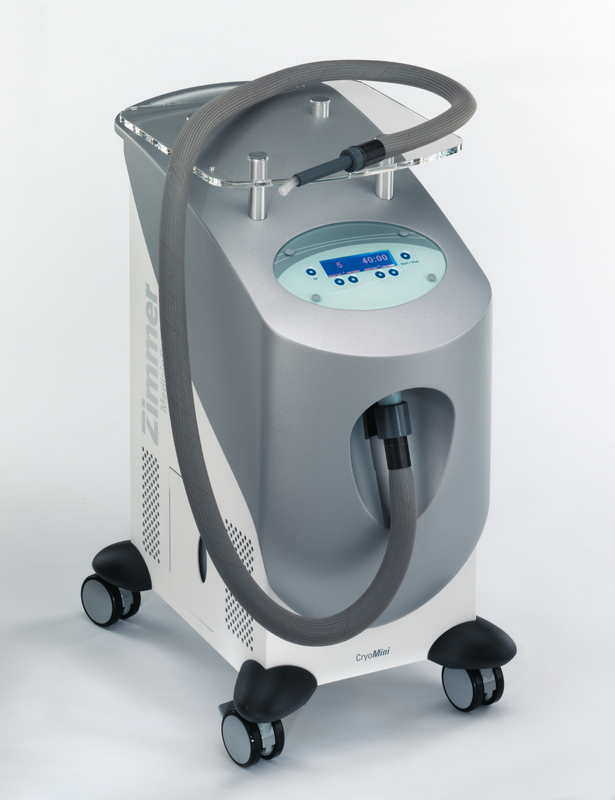 The Cryo Mini features cooled air for efficient pain treatment, swelling reduction and muscle relaxation. 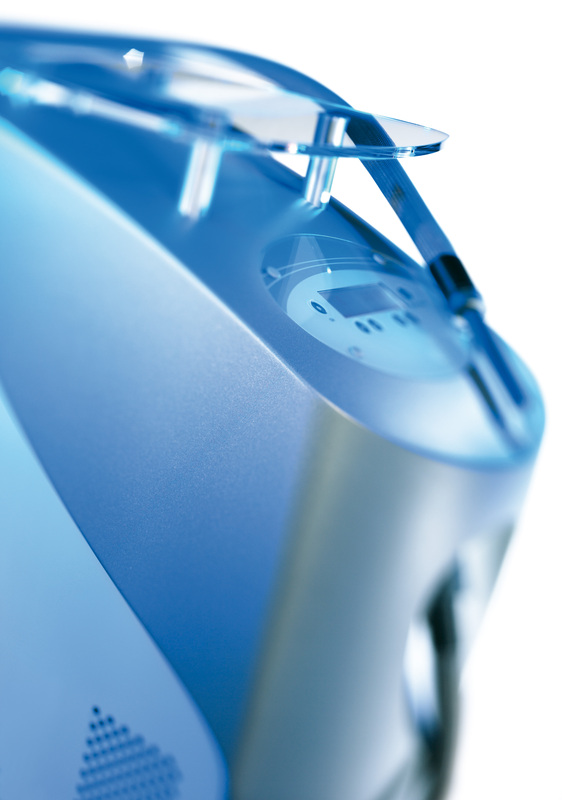 The system enables Cryo Therapy with precise placement and at a constant dosage, every time. 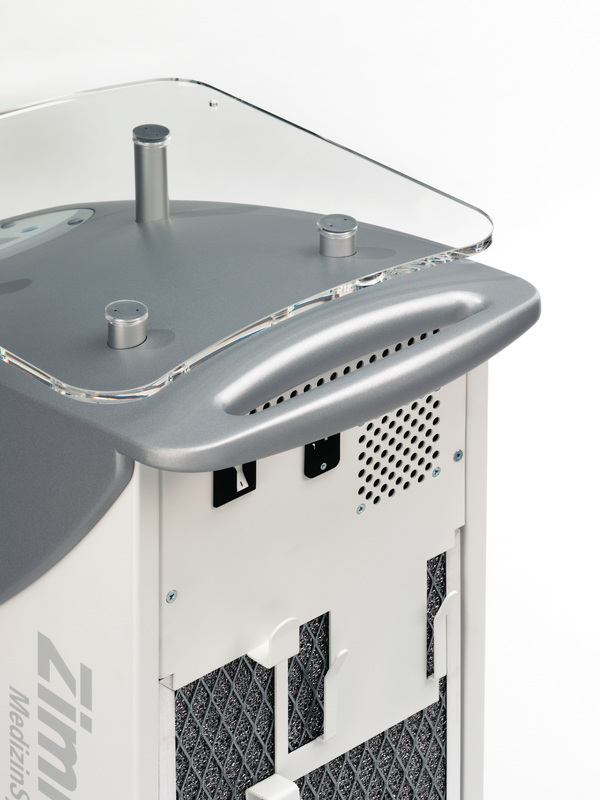 The device uses no consumables and delivers high power. 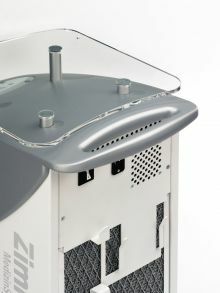 This enables a quick decrease in superficial skin temperature, while maintaining the ability to operate all day. 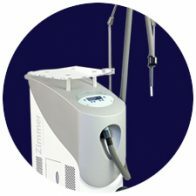 Unlike other cooling methods, such as contact cooling, cryogen spray or ice packs, the Cryo Mini decreases the skin temperature quicker, with less risk of skin burns and keeps a constant dosage throughout the entire treatment time. 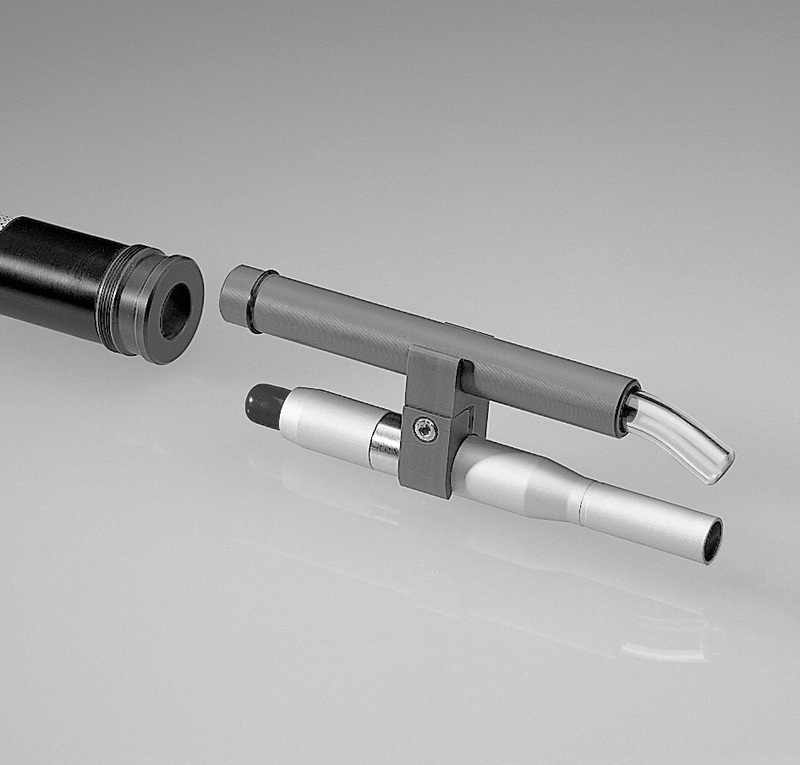 A handy optional articulating arm is available for your Zimmer Cryo Mini. 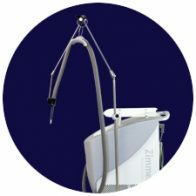 The articulating arm gives the hose gentle support and allows the practitioner to perform hands-free operation. 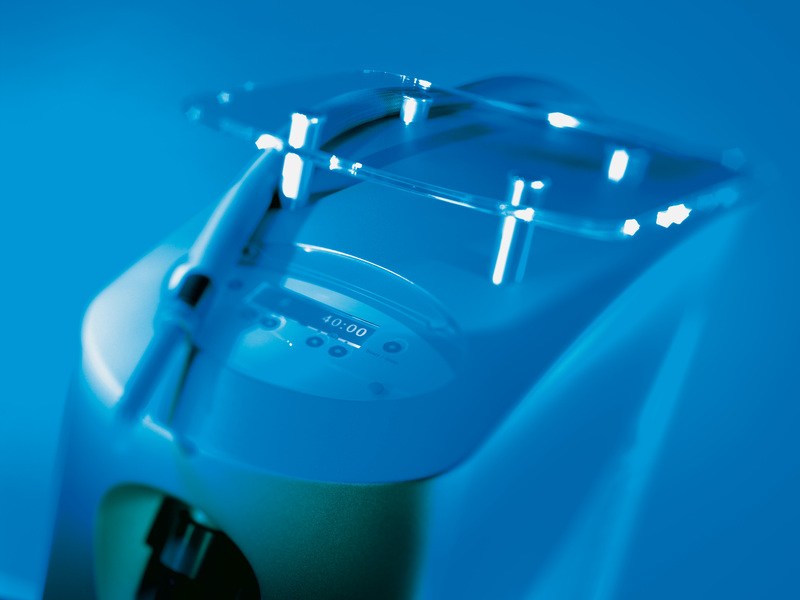 Immediate cold air relief begins for the patient when you position the articulating arm over the treatment area and press start. Easy once-a-week maintenance! Simply vacuum the air filter (without removing) and empty the condensation. That’s it! 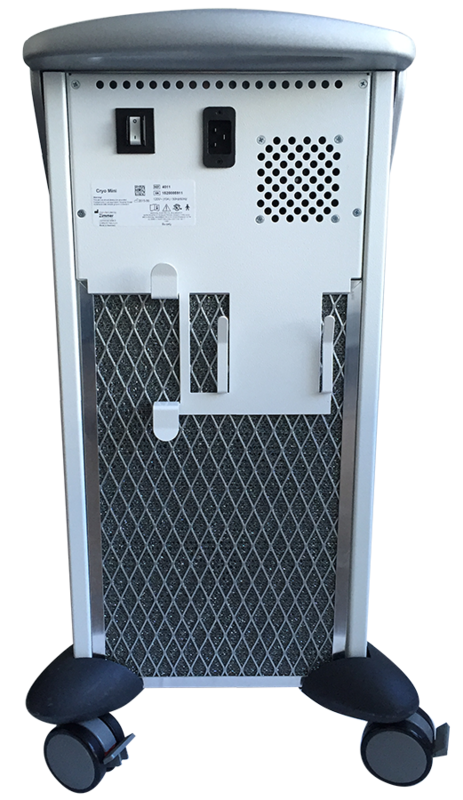 The Cryo Mini chiller unit automatically performs additional self-maintenance & operational component checks every time it is powered on. Handy shelving right where you need it – and when you need it! 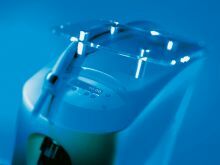 The Cryo Mini flat Plexiglas top provides easy access during procedures to additional small therapy devices or accessories! The best of technology is provided in a large, clear LCD display and ergonomically designed touch keypad. 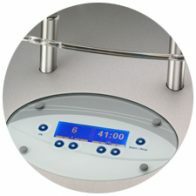 The display presents clear-cut and easy-to-read treatment parameters. At the push of a button, the practitioner can easily change the therapy fan speed, adjust the treatment time and power the Cryo Mini device on or off. 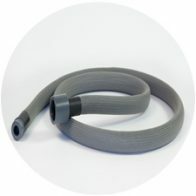 The Cryo Mini lightweight treatment hose is 6 feet long. 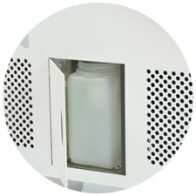 This treatment tube conveys cold air to the treatment site. 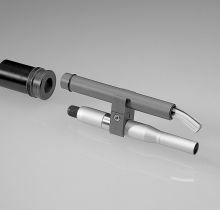 A focusing tip can be connected to the end of the hose to provide more specific and targeted cooling to smaller or precise areas. The Cryo Mini chiller model is a lower capacity, more compact device than the Cryo 6. 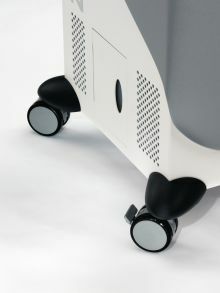 It is ideal for smaller treatment rooms. 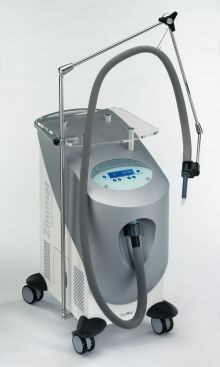 The unit is lighter than the Cryo 6 and is very easy to transport when needed. 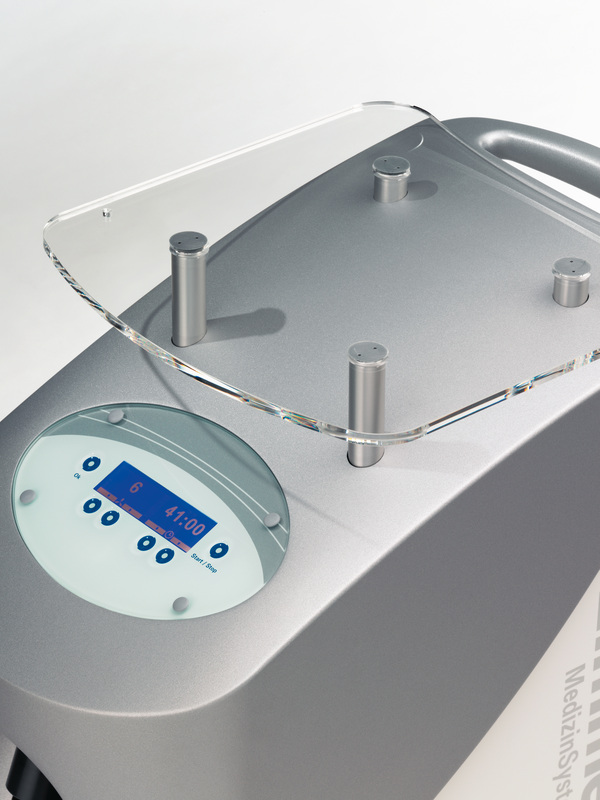 The handy custom designed Plexiglas top, hands-free operation, 9 speed fan, lightweight treatment hose and easy maintenance combine to provide the ultimate in convenience and control for practitioners. *Cryo device may be shown on this page with optional Articulating Arm. 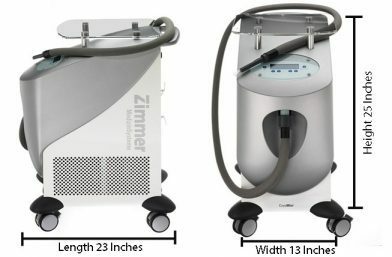 Also, watch treatment demos and testimonial videos made by Zimmer chiller users! Visit our Z News section.